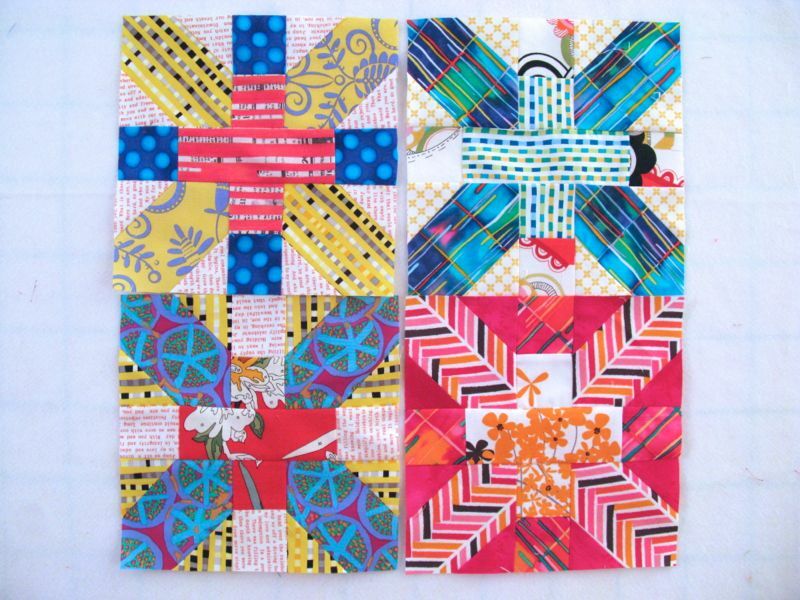 March Cross-X Blocks | OccasionalPiece--Quilt! 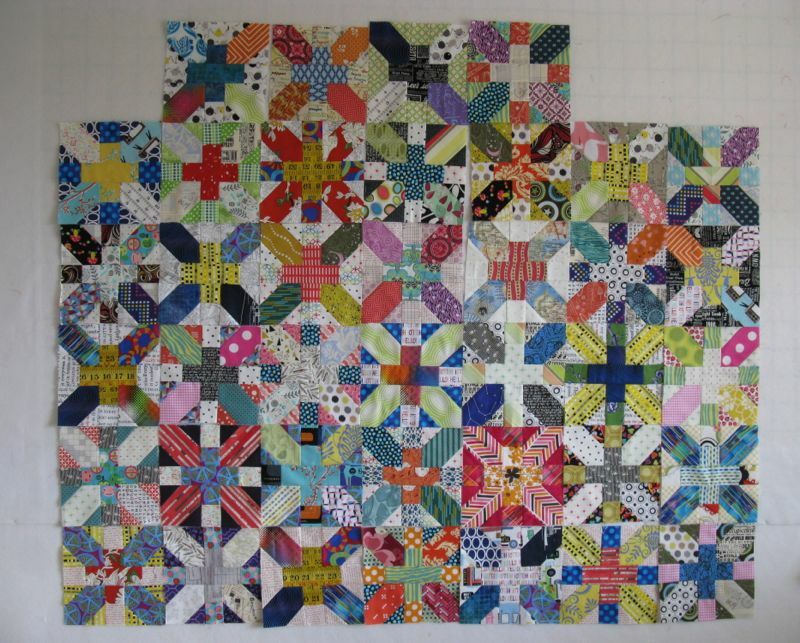 Posted on February 28, 2014 by Elizabeth E.
It’s Cross-X Blocks time again! 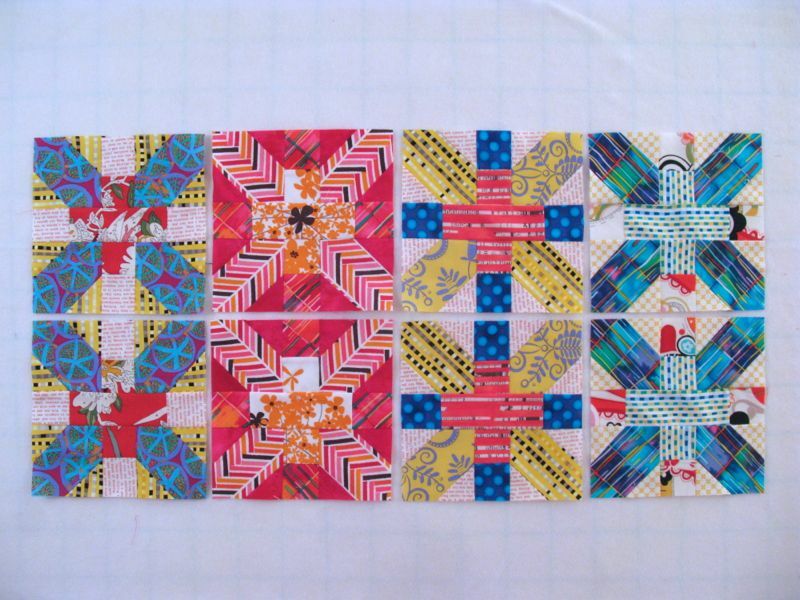 The last Friday of every month, Krista of KristaStitched and I post about our swaps that we’ve done. 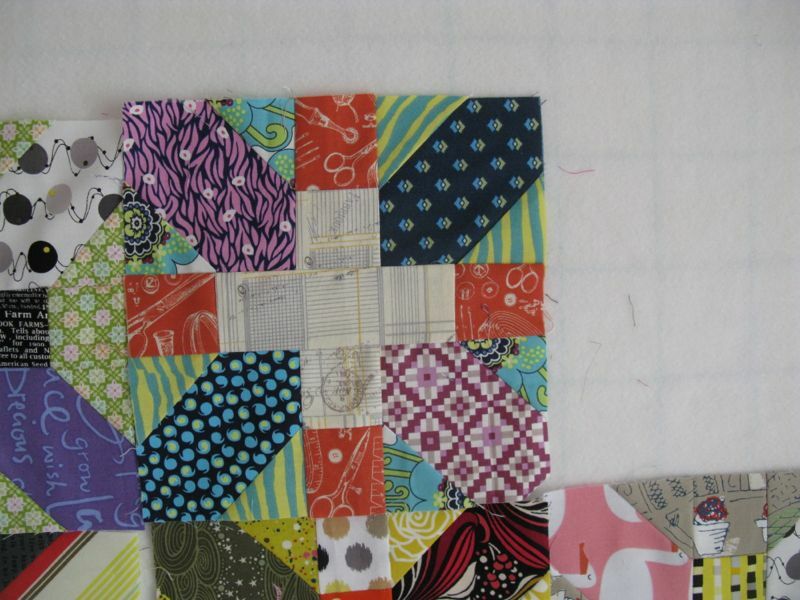 Above are the eight blocks I made for February, four for Krista and four for me. Our Flickr group is *here* if you want to see what everyone is doing. Here’s mine, all alone after sending my blocks off to her. My organizing fetish surges to the front at times like this, as I like to see our progress. Krista’s ahead of me, having sent me two March blocks. I have to get going to keep up with her! And here they are, all together. I can’t believe the number of blocks is growing this fast. I like playing with the blocks because I get to look more closely at what Krista’s been up to. Here are four of my recent favorites of hers (above and below). 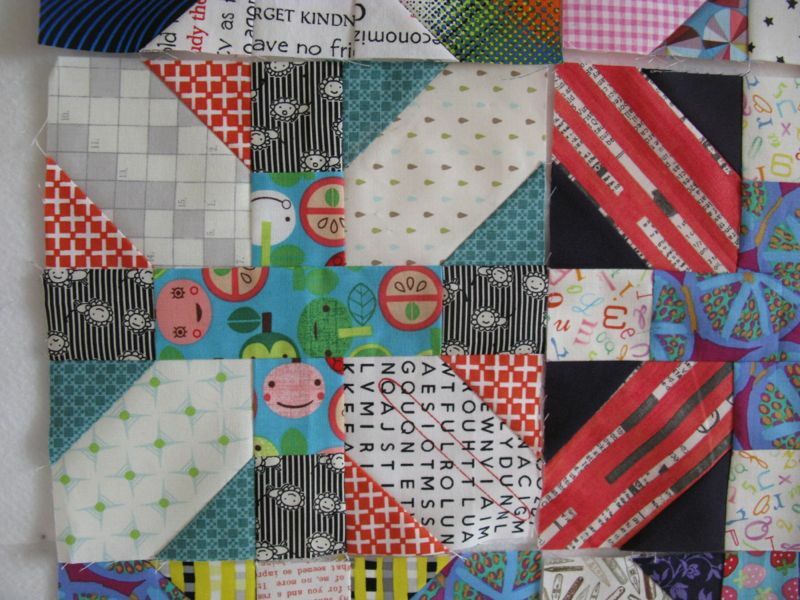 And one last shot of the blocks, made up in Madrona Road (with a few oldies). I hope Krista has her sunglasses! 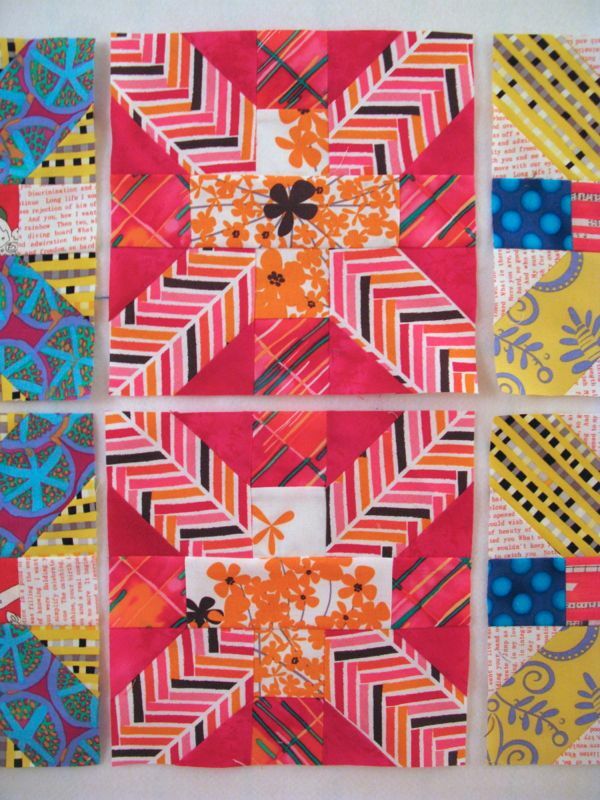 I love the word search and crossword puzzle fabrics in Krista’s blocks, and I love the way the quilt looks when all the blocks are thrown together in a riot of color and pattern. Your collection of blocks really has grown quickly. So fun. I am enjoying living vicariously through you and others with this swap! Oh my oh my! Love that hot pink one. These all look great! Those are all so pretty. 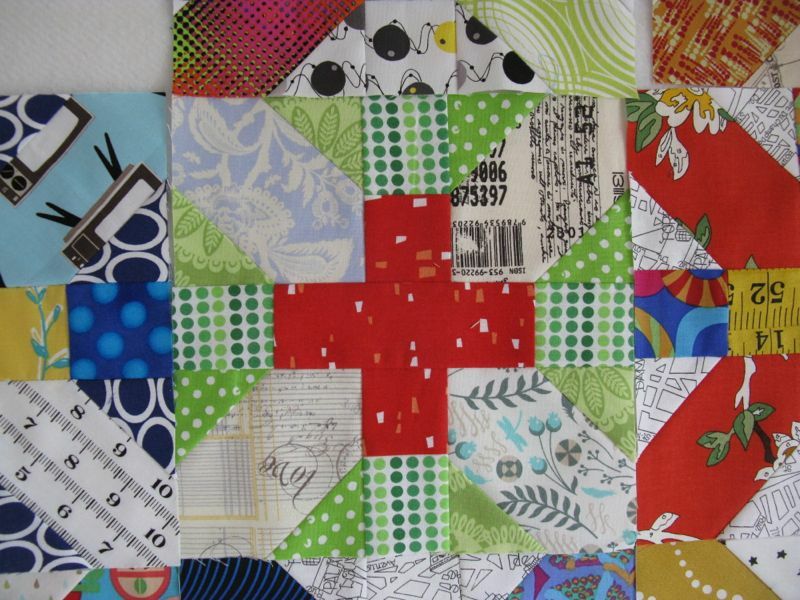 It is going to make a great quilt. I love all your blocks. I like the idea of all the different background. Looks like you are having fun playing with them! 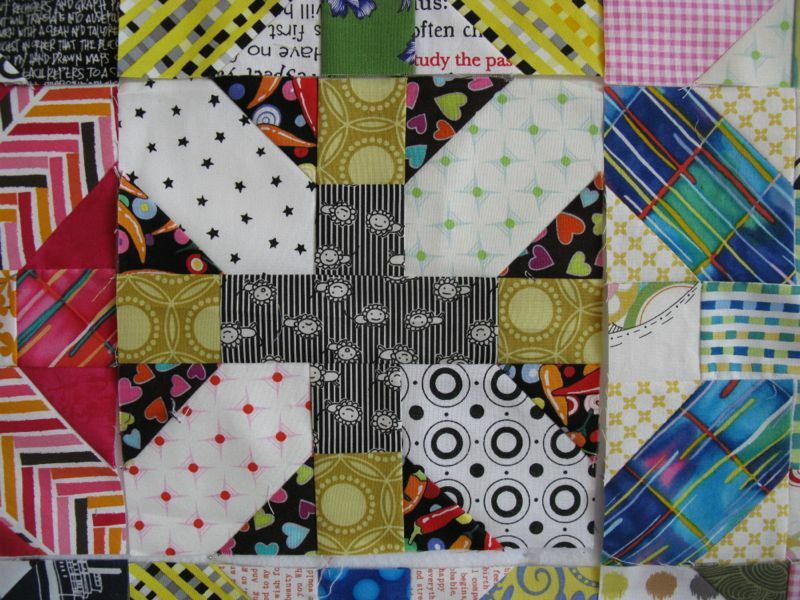 What a beautiful quilt this will make. The blocks are looking great. It’s amazing how each of us are doing such different things with this. I did a couple of different ones last month too! I think it adds some extra interest to the whole look! It is going to be fun to put together, don’t you think!? love how this is taking shape . . . so colorful and scrappy.